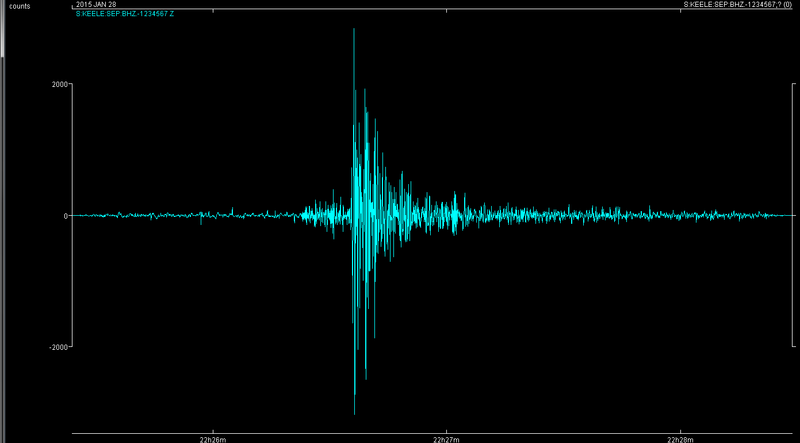 Here is the seismogram of the M8.3 Chilean earthquake of September 16, 2015 recorded at Keele University, UK. 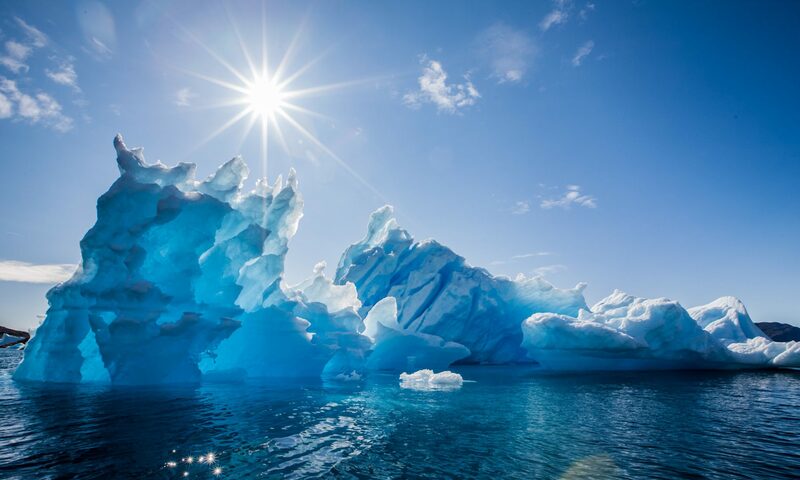 Occurring about 230km north of Chile’s capital, Santiago, the coast of Chile is prone to large subduction related earthquakes such as this, including the largest earthquake ever recorded, M9.5 in 1960. More information from the USGS. 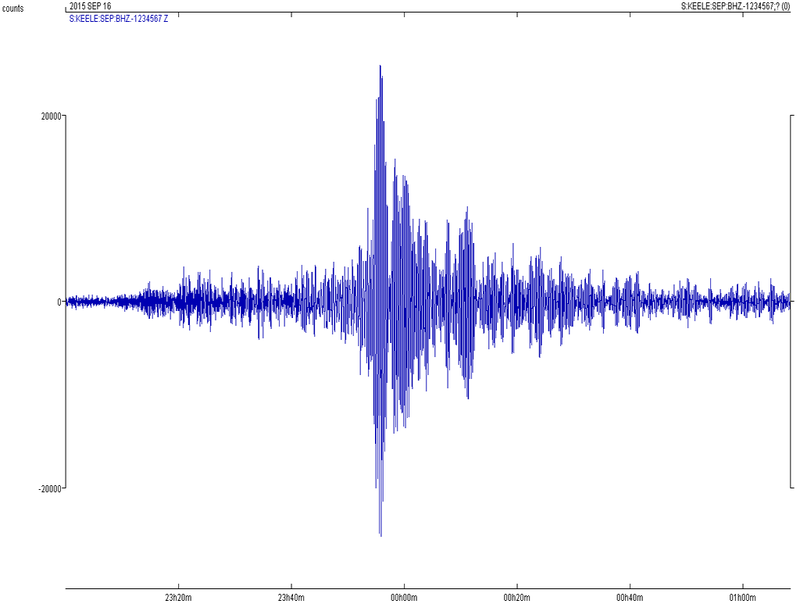 Magnitude 4.1 earthquake in the Bristol Channel. 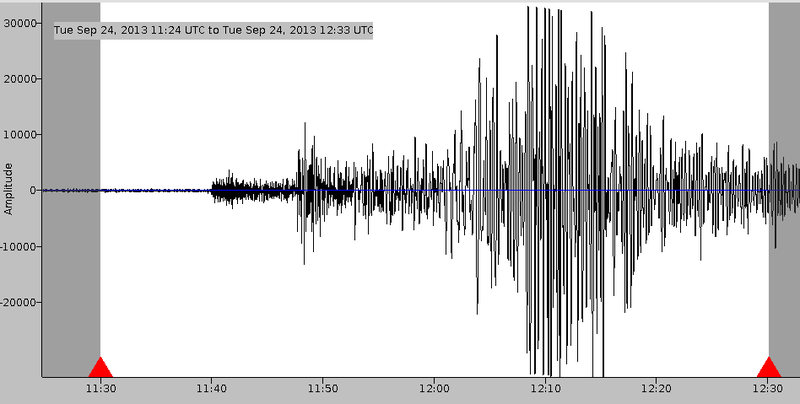 Seismogram recorded at Keele University. 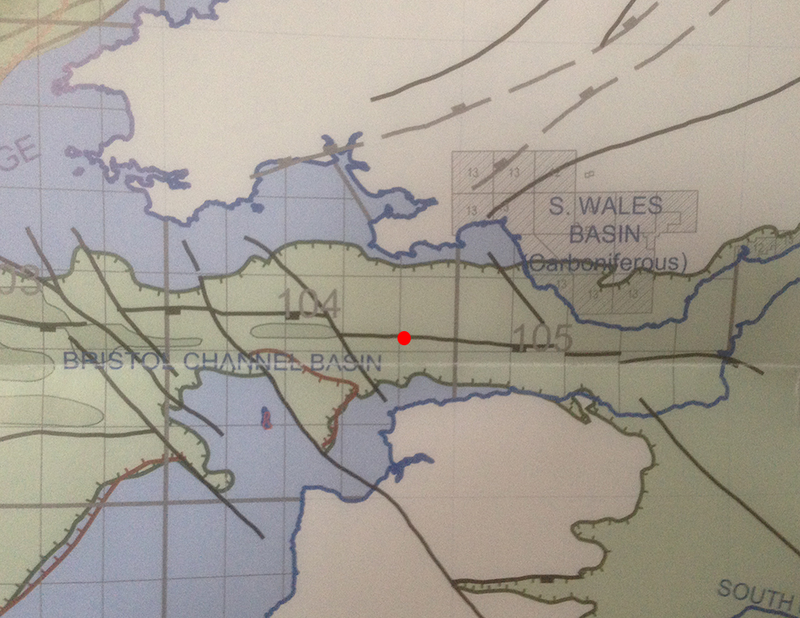 Probably associated with the Bristol Channel Fault System or one of the NW-SE strike slip faults that offset it. Map from PESGB with approximate epicentre highlighted. The Bristol Channel Fault System is a major fault zone along which it is thought that the Cornubian Peninsula docked against England and Wales in the Mid-Devonian. 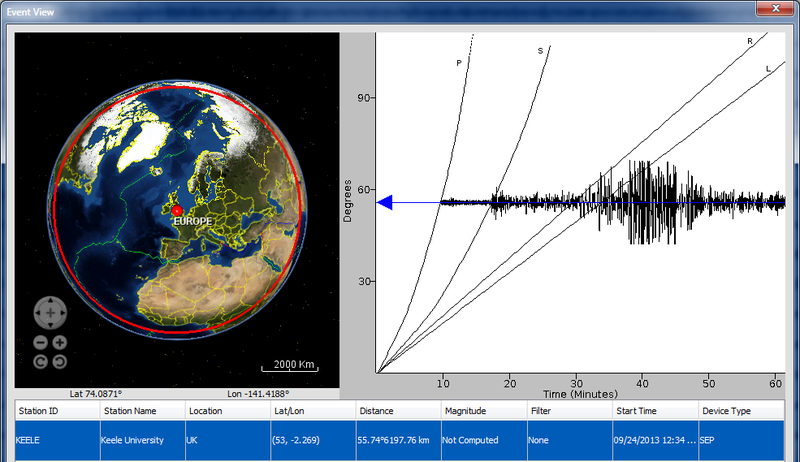 However, most UK earthquakes tend to be strike slip events on northerly trending faults due to the current stress regime in the UK (ridge-push from the North Atlantic from the NW + tail end of Alpine compression from the SE). 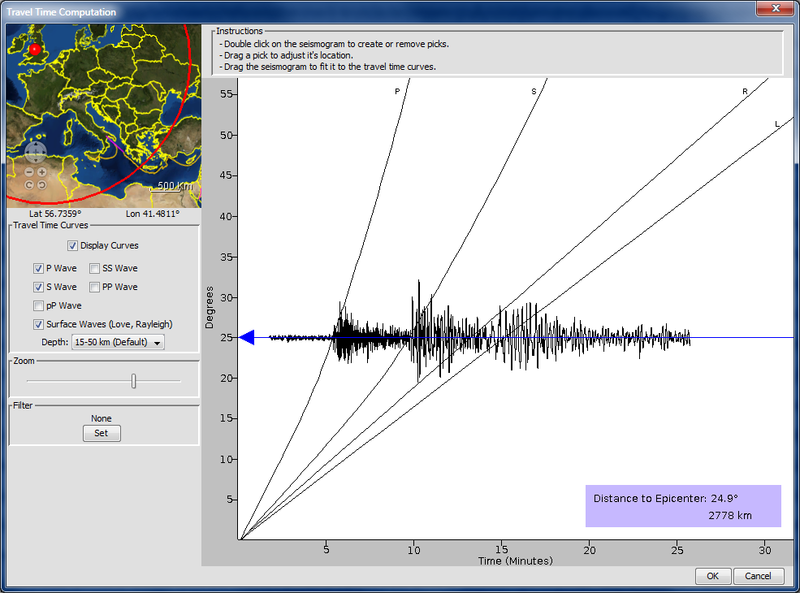 A more likely candidate would be a fault parallel to the NW-SE trending Sticklepath Fault (going from Pembrokeshire and across Devon on the map) that offsets the Bristol Channel Fault System and on which there is evidence of significant strike slip movement during the Cenozoic. As a comparison with ‘fracking’ events here is a useful chart. 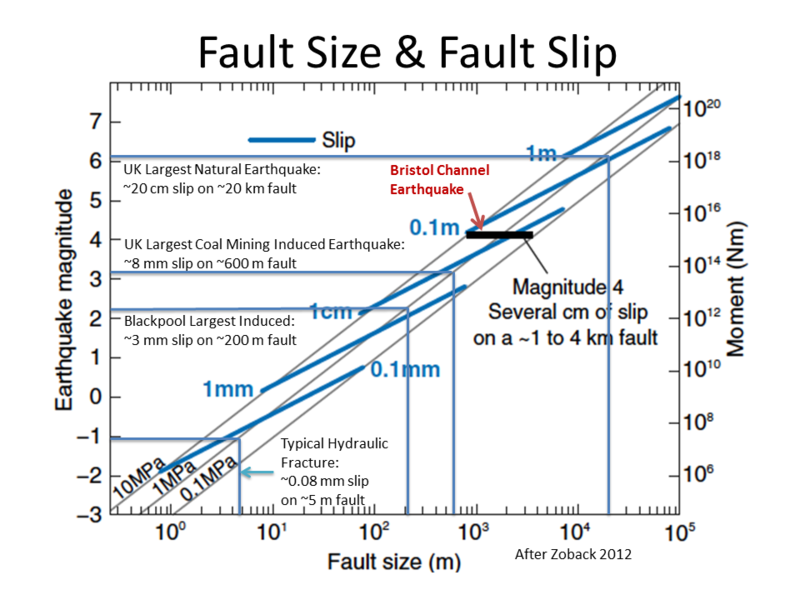 The Bristol Channel earthquake would be several centimetres slip on a 1 to 4 kilometre fault, a thousand times more powerful than the largest of the Blackpool events and about 30 million times for powerful than a typical ‘frack’ event.